HSBC Sydney Sevens, the fourth leg of the ten-part Series, kicks off at the Spotless Stadium in Sydney Olympic Park on Saturday 2 February, 2019. From the announced match day squads of the 16 participants at Sydney, Kenya is second least experienced squad in terms of career totals. Coach Paul Murunga's 13-man squad, the same that did duty at Hamilton 7s last weekend making it all the way to the Challenge Trophy final, has players that have participated in a cumulative 66 events. Tonga is the least experienced with a total of 16 career totals. Save for skipper Atieli Pakalani who had featured in four events prior to Hamilton 7s, the other dozen were making their debuts. 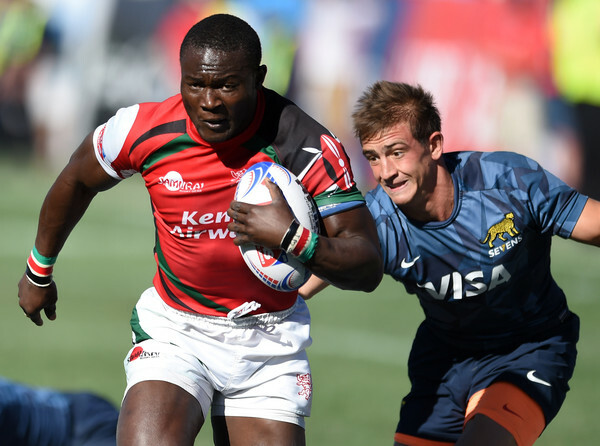 Bush Mwale who debuted for Kenya under South African Paul Treu back at the Gold Coast, Australia in October 2014, and Michael Wanjala who was first capped in the February 2011 by Mitch Ochola at Wellington 7s, are the most experienced having featured in 22 and 20 events, respectively. The other 11 players in the squad have featured in five or less events. Cyprian Kuto who made his debut in the series back in October 2012 at Gold Coast 7s in Australia as a 19-year old under Englishman Mike Friday is heading in for his sixth event and is the third most experienced player in the lot. Skipper Jacob Ojee who also earned his debut alongside Mwale in October 2014 is heading in for only his fourth event. 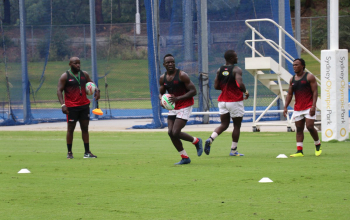 The same applies to the bubbly trio of Johnston Olindi, Daniel Taabu and Brian Wahinya who all earned their maiden Sevens Series calls at Dubai 7s in late November 2018. KCB's Vincent Onyala who made his debut in Cape Town during the second leg of the competition in early December 2018 is looking up to his third event as green horns Eliakim Kichoi, William Reeve, Harold Anduvate, Brian Wandera and Mark Wandeto Ruga who all earned third maiden event at Hamilton at the close of January 2019 are in for only their second events. Beyond Kenya and Tonga, all the other 14 teams will parade players with career totals above 100. 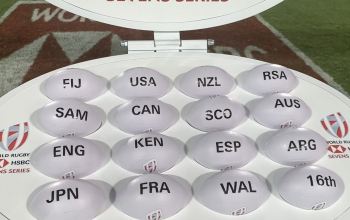 USA, Kenya's opponents at Sydney 7s in pool B is the second most experienced squad at the South Wales capital with 364 events among them. With 400 career totals South Africa, the defending Series champions, are the most seasoned of the 16 teams. Canada and France, Kenya's other opponents win the pool, come packed with a squad with 299 and 200 career totals, correspondingly.